Metals junior, Pacifico Minerals (ASX:PMY), today updated the market on its progress across its exploration portfolio of polymetallic projects in Colombia and Australia. PMY is focused on advancing its Borroloola West Copper/Zinc/Lead/Cobalt/Silver Project in the Northern Territory. 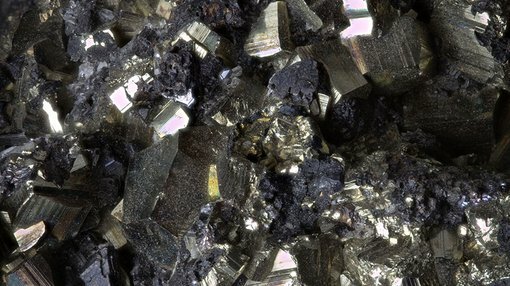 This project covers a promising package of ground north-west of the McArthur River Mine, the world’s largest producing zinc-lead mine, with high potential for the discovery of world-class base metal deposits. A drilling contract has been executed, with drilling to begin early April at the Lorella target to test strike extensions of previously intersected oxide copper mineralisation and for indications of significant down-dip primary sulphide mineralisation. 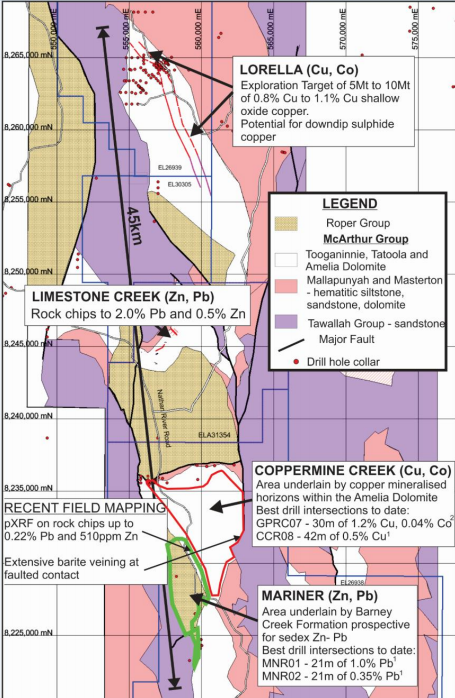 PMY’s JV partner, the $1.19 billion-capped Sandfire Resources NL (ASX:SFR), will contribute 49 per cent for the upcoming aircore drilling program, which will test strike extensions of previously intersected oxide copper mineralisation and for indications of significant down-dip primary sulphide mineralisation. Reverse Circulation (RC) and diamond drilling will then begin follow-up at Lorella to establish Inferred Resources of oxide copper. PMY will be look to advance its 100 per cent owned Limestone Creek prospect in the Northern Territory, where highly prospective RC/diamond drilling targets defined for primary sediment hosted zinc-lead will be drilled this year once the tenement has been granted. In Colombia, on the other hand, PMY is progressing its wholly owned Berrio Gold Project, which is situated in the southern part of the prolific Segovia Gold Belt and is characterised by several operational, artisanal-scale adits. The project is 35 kilometres from the Magdalena River, which is navigable to the Caribbean Sea. Excellent infrastructure is in place, including hydro power, sealed roads, water supply and telecommunications coverage. Here, auger sampling is continuing through the first quarter with the aim to delineate targets for diamond drilling. Further to this, PMY is also in the process of evaluating potential acquisition opportunities, with negotiations currently advancing following successful technical reviews on several compelling projects.